Starting to plan your big day and want to make sure it’s perfect? Here are 10 tips to help you choose the right wedding vendors. It can be time-consuming planning a wedding. You want to get your special day just right, but it’s not an easy task, and half of that comes from choosing the right vendors. The appropriate wedding plan requires a lot of time and dedication and having the best possible vendors will play a big role in making it a success. When you are planning your wedding and thinking of how to find wedding vendors or a more specific question like ‘who is the best Dominican Republic wedding photographer’, there are some crucial considerations you must face. Let’s check some tips that can help you search for wedding vendors for your perfect event. In order for the wedding to be remembered for a long time by you and your guests, you will need a lot of effort and foresight. The right suppliers and vendors for wedding planning may be the key to making your happy day a reality with less stress involved. How you imagine your ideal wedding looking. How the celebration and events should go. How you plan to allocate your budget. Perhaps, once you dreamed of a wedding by the sea or one with a rock-n-roll style – it’s time to find the best local suppliers and wedding vendors in Punta Cana that fit your needs and understand your wants. Look for someone who’s experienced, both in terms of years in the business and a price that fits your budget. You can find a professional team who will provide you all the solutions you need for your outdoor or indoor wedding. But before signing any contract, you should come and meet the team or wedding planner. Also make sure you understand every point in the documents you sign, the recurring fees, and exactly how much it will cost with each change to your order. You should never hesitate to ask the questions that come to mind. The union of two loving hearts is a long-awaited and joyful process. Indeed, the wedding for everyone should feel like a special, bright and unique event that will be remembered forever. To make it so, you have to find the right photographer to help you prepare for the wedding. 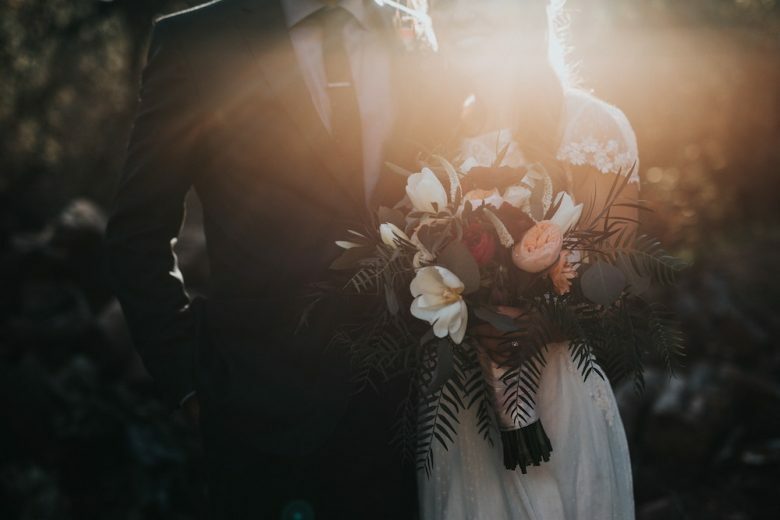 You may start your search by asking your friends or a wedding planner for suggestions, or by checking websites that connect couples with wedding photographers. All the vendors should have profiles on such websites with reviews and an example of their previous photo shoots. Try to find time for chatting with professionals, discussing their services and asking about standard offers. Offers that could be possibly discussed are a free pre-wedding shoot or a discount for full-day photography. Transport rental to the place. Cards and invitations to share. Hire the vendors in each category, interact with them and provide your clear vision. Do not spend on a vendor that does not have referrals, recommendations, and experience. You can start with finding tickets for conferences or free wedding events where you can meet different vendors under one roof. For one, you will be able to communicate with people in person and ask questions about their service with immediate answers that you wouldn’t get online. You will also be able to experience, taste and see the supplier’s products, or discuss all the details and services. Another benefit of such conferences and gatherings is that you can meet experienced couples who already organized the wedding and can inspire you. They can provide the best tips and explain nearly everything you’ll need for your special day. Since you are putting so much money and resources into your vendors, it is very important to find a real professional. Working with wedding planners and other experts should at least be a pleasant experience, even when the planning itself can be hectic. Their vision and suggestions should fit well with what you have in mind. A real connection and good first impression can help you to figure out if you will like the personality of a planner you see. You can meet for a cup of coffee with your potential service provider. Remember, you will be working with these people for many hours and even months. Hiring a wedding planner is not an easy task, but the most important part is being able to use their expertise and connections to help make your life easier. Social media is a great way to find excellent wedding business companies. Pictures and ads are posted on companies’ social media to show you all the benefits they offer. This can help you find the right people, make a price comparison, and see everything you would gain with a company. You can keep an eye on social media pages for updates, check their service packages and visit events. You can also read useful tips like what affects the rental price, where to rent a wedding dress, or even find more specific examples from a company you’re already interested in, like where to order and view Excellence El Carmen wedding photos. Developing a wedding scenario, or the style of the wedding. Helping with the budget and organizing a wedding within the existing budget. Choosing a photographer, florist, artists, as well as a venue for the ceremony. Managing a team of artists, waiters, and other staff. Some of the companies may take such responsibility as organizing a hen party and honeymoon. If you hire a catering service, they may help with the creation of the menu and a wedding cake order. Thus, it’s important to discuss all the services before paying for them. Wedding planners and people who work in this industry must be creative professionals. The person you choose should have innovative ideas and be up to date on popular trends. The proposals should not be limited to one or two scenarios, and if you wish something unusual or special, they should always have a few ideas in a pocket. Thinking creatively and outside the box will help to easily solve any issues and find an approach to prevent any grumpy guests. Such people will be able to organize both a wedding with a modest budget and a large expensive event. If you want to create an unforgettable wedding, do not be afraid to ask to see the professionals in action. Ideally, if you are planning to hire a band, try to go and check their live performance. Online concerts will not help you understand the same feelings, emotions, and vibes that would be present at your event. For these kinds of decisions, it’s important to follow your intuition to determine which among all singers or photographers is the best. The planner, in turn, has already seen many vendors at work and can immediately determine who is more suited to a particular wedding style. So, to make your wedding planning less stressful put together your plan and program by taking one step at a time in a logical order. Don’t hire a vendor you are not sure about. Before you have confirmed your date, check to make sure you found all the suppliers, services and designers for your cake and other decorations. Try not to book a photographer before you have settled on a place you like. Do everything step by step and you will have a plan in no time!